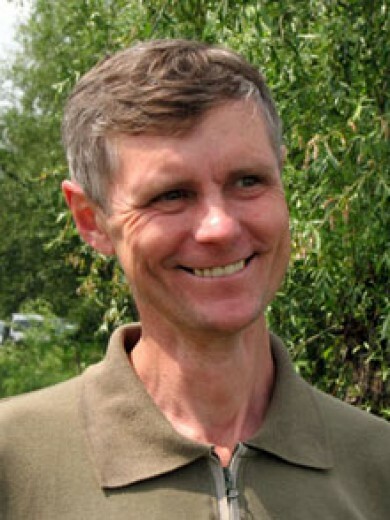 Pal Gera created the Foundation for Otters in January 1995 to protect otters and wetlands in Hungary and throughout Europe. Using otters as a means of galvanizing public support for environmental protection, Pal has built a comprehensive program focused on public education and community involvement. The basic problem he has had to face is the nationwide illegal poaching of otters and the negative change in the state of wetlands. Despite the fact that otters are one of the increasingly endangered species, their numbers are constantly decreasing because of illegal poaching. Thanks to their hard work a professional consensus and alliance have arisen between different Professional communities such as conservationists, fishermen and hunters, who together fight for the preservation of otters. Different groups fight for the otters by helping each other in their work. Informatory programs and releases help students, professionals and non-professionals become more aware of the importance of wetlands and environmental protection. Pál wishes that different stakeholder groups will tightly collaborate on the long run and better capitalize on the available EU funds to showcase how invaluable the presence of the European Otter is to present and future generations alike. Pál’s love for otters goes back to his childhood. He used to visit the fish ponds of Lake Csaj in Csongräd county, where he discovered to his dismay that fishermen were cutting’ back heavily on the otters in order to protect their stock of fish.